The Petzl Pro Traxion is a versatile, heavy duty pulley designed to smoothly haul loads for big wall climbing or rescues. 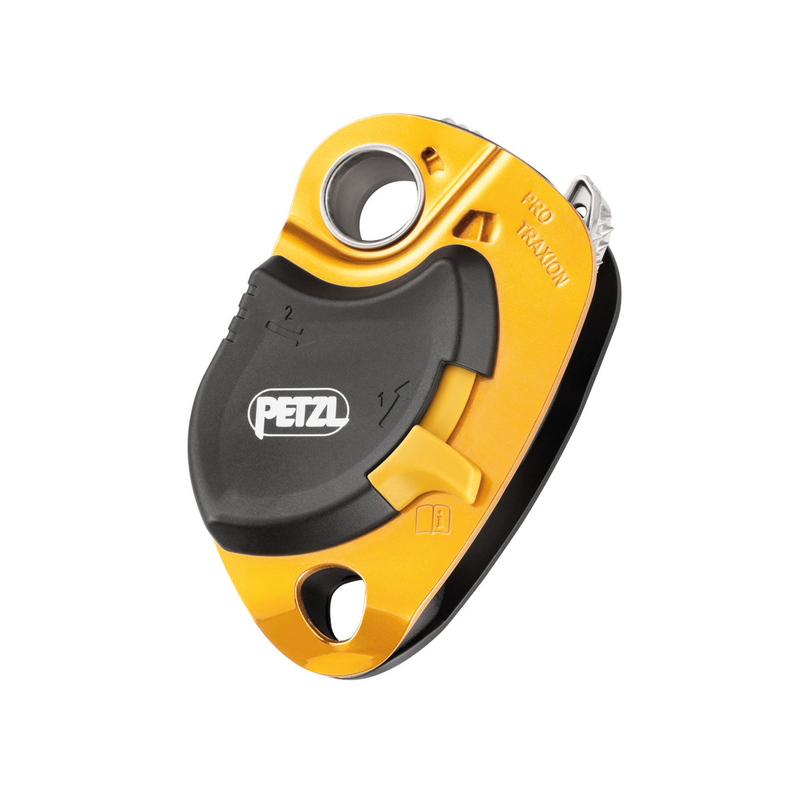 Naturally, for these exercises, the Petzl Pro Traxion has got to be really strong and durable, and it certainly lives up to this reputation. It is also incredibly efficient during your climb: you can install a rope while the pulley is still connected to the anchor and the side plate locks when loaded, so it won't open while it's in use. It's versatility continues to be seen through the fact it has a low connection point so you can make different types of hauling systems, and use it as a simple pulley, too. Easy to use, and handy in a variety of different climbing scenarios - a great resistant pulley.